Posted on Sunday, January 27, 2019 Saturday, April 20, 2019 by GaryPosted in Sunday ReviewsTagged Aquaman, Freedom Fighters, Hawkgirl (Kendra Saunders), Hawkwoman, Martian Manhunter, Mera, Shazam, Starman (Will Payton). Previous Previous post: You Were Looking For What, Now? 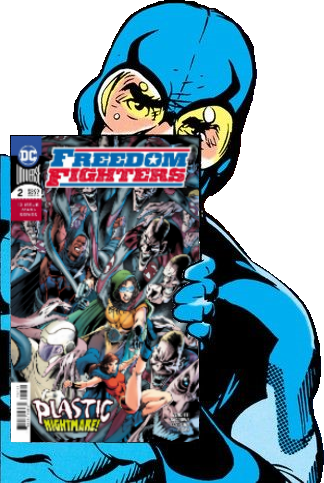 Read the first two issues of Freedom Fighters. love the art and the story’s just getting good, so I’m curious as how it all ends and what the plans for the team are after the series ends.